Sword Art Online: Lost Song is an action role-playing video game for PC based on the Sword Art Online light novel series. It is the third video game in the series and is the successor to the 2014 game Sword Art Online: Hollow Fragment. 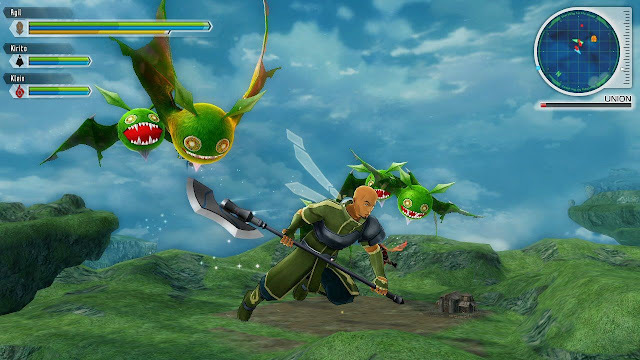 The game was released worldwide during 2015 on Playstation platform. And now on November 13, 2018 the PC Version of this game just released. Sword Art Online is a science fiction franchise that is very well known throughout the world. Starting from light novels published in Japan in 2009, the work by Kawahara Reki has been adapted into anime, manga and several games. Although much criticized because of the quality of the ups and downs and the high level of the harem, Sword Art Online still managed to become a successful franchise to date. After previously releasing two fairly good games on the market (Sword Art Online: Infinity Moment and Sword Art Online: Hollow Fragment), Bandai Namco is now releasing another Sword-based Online story game called Sword Art Online: Lost Song. The two previous games were criticized for various gameplay problems and the quality of the translation, but now it seems that Bandai Namco intends to "atone for sin" by presenting higher quality games. Sword Art Online tells the story of a fictional MMORPG entitled Sword Art Online in Japan in 2022. With virtual reality technology, Sword Art Online makes its players go directly into the gaming world as if it really lives in it. This game was sold for only 10,000 pieces, and the one who managed to get it was the main character named Kirigaya Kazuto aka Kirito. 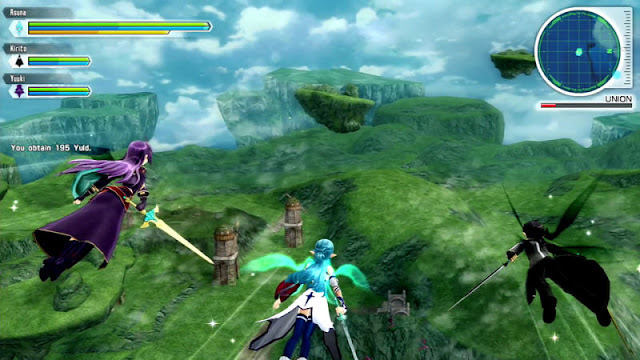 Sword Art Online: Lost Song tells the story of Kirito and his friends who are in the ALfheim Online game. 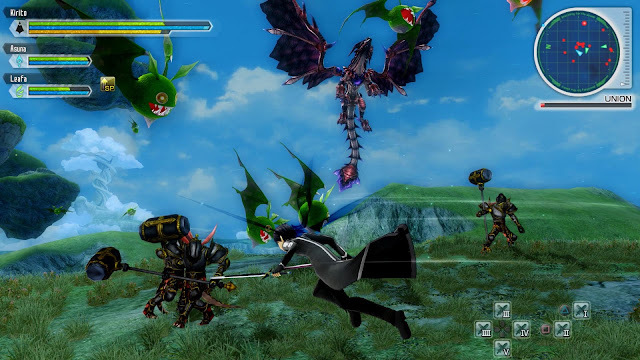 Here ALfheim Online just got a big update in the form of an area called Svart ALfheim, and Kirito's gang had to compete to finish the area against a large guild called Shamrock. In his adventure, Kirito will be involved with a mysterious girl named Rain, and also a genius girl who is a virtual reality technology researcher named Dr. Rainbow Arshavin (Nanairo Arshavin). 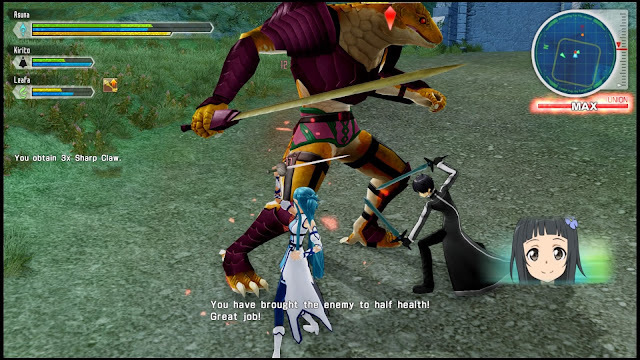 Because ALfheim Online is a game that is safe and has no risk of death, the story in Sword Art Online: Lost Song is not as intense as the story in Hollow Fragment. The main story of this game goes very slowly with many intermittent stories which are very insignificant. This might bore you if you're not a fan of Sword Art Online. But if you are a fan of Sword Art Online, then the story in Lost Song is light entertainment with a satisfying ending. 0 Comment for "Sword Art Online: Lost Song (PC Game) - CODEX"